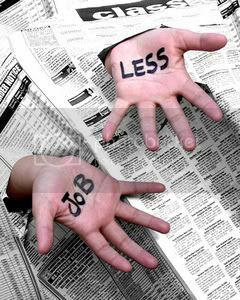 The unemployment rate is of concern to many Singaporeans. Thus, it is important not only for the government to release accurate data on it but also for our news media to report such data accurately. 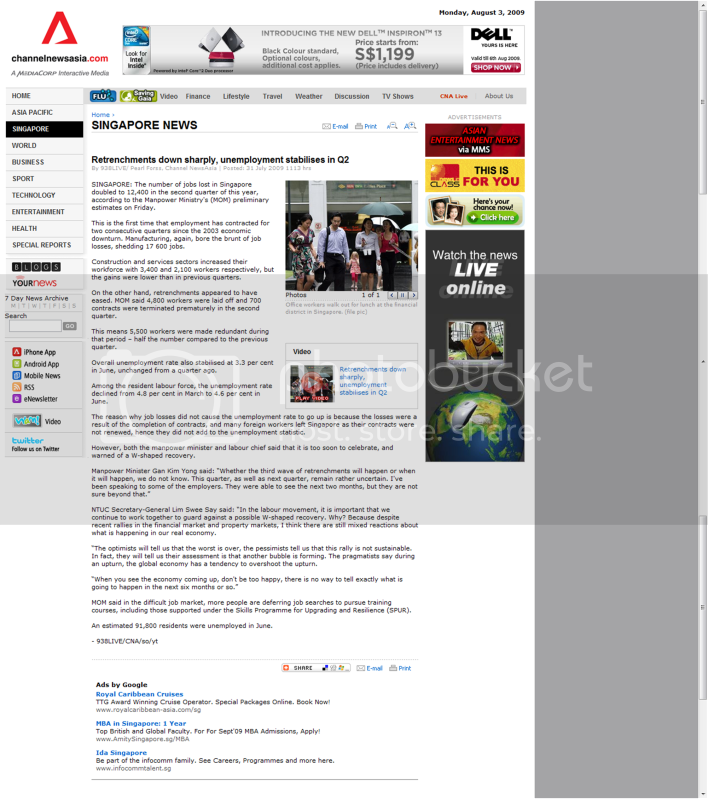 However, in their latest reports, the Straits Times, Channel NewsAsia and Today have failed to do so. Their selective reporting of important statistics on the unemployment rate leaves much to be desired. However, in the same article in the print edition on August 1, (“More layoffs likely later in the year”) there was no mention of the 116,600 unemployed or the 6 per cent unemployment rate. What happened to this important piece of information? So, similar to the ST print edition, there was no mention of the 116,600 unemployed or 6 per cent unemployment rate. 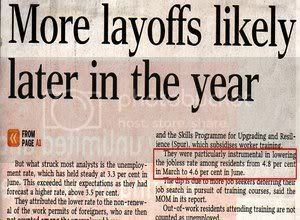 These two statistics are also not mentioned in the Today newspaper of August 1, “Productivity concerns: Job losses double in Q2 as foreigners’ services terminated“. It seems to be quite a coincidence that all three news medium omitted these two statistics, which are in the Ministry of Manpower’s report, “Employment Situation In Second Quarter 2009“, from which the reports were derived. Apparently it was decided that only the “better” seasonally adjusted figures be reported, and the non-seasonally adjusted figures were dropped altogether. In any case, it is perhaps arguable to say that “unemployment has stabilised in the second quarter”, when the number of unemployed residents (Singaporeans and PRs) increased from 95,600 in March to 116,600 in June, and the resident unemployment rate increased from 4.4 to 6 per cent. 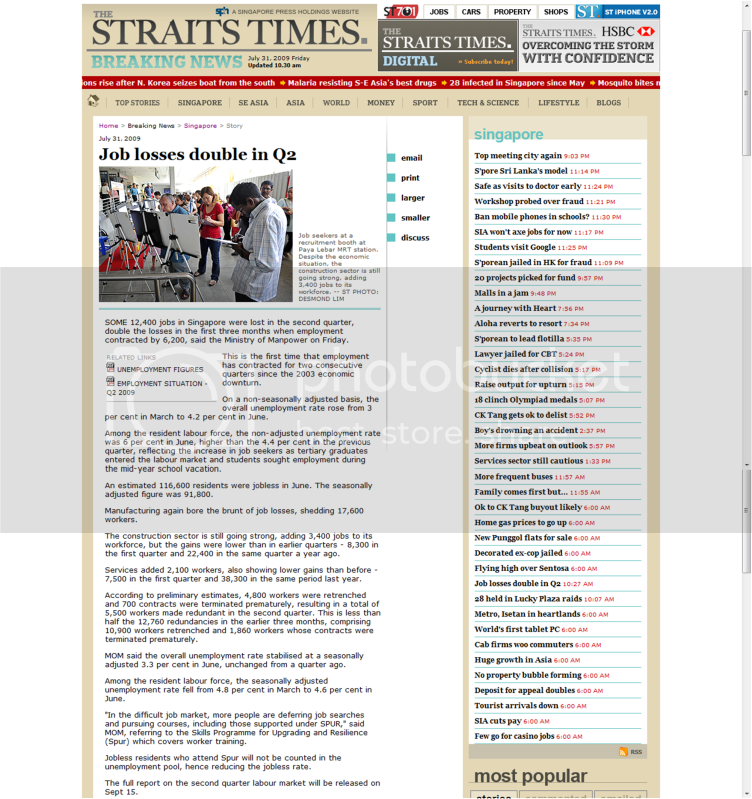 Anyone who reads the ST Breaking News Online version on July 31, compared to the 1 August print version, the Channel NewsAsia and Today articles, may come to a very different perception of whether unemployment has gotten better or worse. Bus companies to Malaysia were recently fined for fixing prices. Perhaps we may need to consider action for “fixing the news statistics” too! The Manpower Minister was quoted as saying, “The most important message is to remind all of us that the worst is not yet over”. Well, I think it also depends on what statistics we “choose” to compare with – in the news. By the way, how many of those undergoing training under Spur may be people who are actually unemployed, who may not be counted in the unemployment statistics?